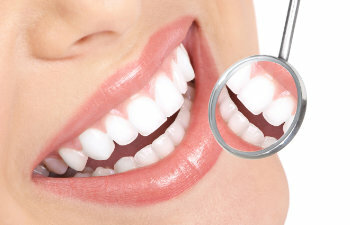 Dental cleanings are considered a necessity or oral health. However, did you know that dental cleanings are also considered essential to your general health? There is an undeniable correlation between the condition of your mouth and the condition of your entire body, and really it should come as no surprise. What goes in your mouth travels to the rest of your body – good and bad. So those dental cleanings that you miss because you “don’t have the time” are really negating your health. At Gold Hill Dentistry, we understand the connection between oral health and general health, and we place the highest standard on giving our patients quality dental cleanings. Dental cleanings should be done at least once a year, twice for those with any dental history of cavities or plaque buildup. Dental cleanings allow a dental hygienist and dentist to thoroughly clean the teeth and remove damaging plaque, tartar, and bacteria. If left inside the mouth, not only do these damage the teeth, but they are also susceptible to traveling through the blood stream and infecting the heart, liver, brain, and other organs. At Gold Hill Dentistry, we focus on the promotion of your overall well being and quality of life as it relates to your oral health. You can depend on our entire team of dental professionals to deliver the high standards of dental care you and your family needs. Gold Hill Dentistry is a comprehensive family dental practice in Fort Mill, South Carolina. Dr. Kavi Sagunarthy and Dr. Jennifer Mokris lead our team as expert dental specialists who use dental cleanings to clean the teeth and prevent serious oral health problems from occurring. We are currently welcoming new patients, and we would be proud to serve you and your family.